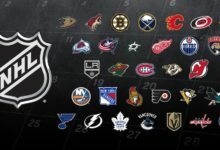 You may have seen Sports Illustrated’s article on NHL fan misery rankings, published on July 24th; but here at Hooked on Hockey Magazine, we’re not quite convinced that their “scientific formula” is all that scientific, so we’re here to do a whole different ranking to see which fans can reign supreme in terms of overall engagement and enjoyment of their NHL franchise. In order to empirically measure the happiness of the average NHL fan with their respective team, we have looked at several tangible factors: Average ticket price, average attendance, overall home record the past season, beer prices, and home goals for (will be explained later, trust me); as well as intangible factors, such as hype surrounding the team, perception of the product on the ice going forward, and the all-important x-factor. 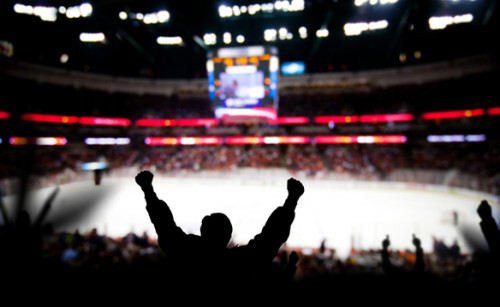 We will be looking at average ticket price; essentially, it will tell us roughly how much a person spends for the privilege of being able to personally cheer on their favorite team in their home arena. A preemptive apology goes out to the dedicated fans that chase down their teams for a destination game, as we are counting 100% fan support at 100% of the games. You may be asking yourself, “why are you assuming a packed house at every arena?.” We’re not; we’re factoring in the average attendance record and weighing that down against the costs, essentially meaning that if the attendance exceeds one hundred percent of capacity, you, the fan, are paying slightly less than a hundred percent of the costs; while the opposite is true for teams with less well-attended home games. With those things in mind, we will be able to calculate roughly how much a person spends per win, and per goal, integrating the home win and home goals for stats. Further added to our already overloaded and hyper-complicated formula is the fact that science has proven that people tend to drink at sporting events; with the chances increasing when the home town team loses, further financially straining our hypothetical fans. This variable is tricky, as fans are not limited to drinking during losses, so the formula has been tweaked to adjust for an increase in consumption whenever the team loses at home, while remaining steady with every win. For the intangibles, hype could be good, bad, or simply non-existent. Each team makes roster moves, and whether they reverberate through the hockey community at large or simply go unnoticed, that will take effect into the hype surrounding a team- look at it this way; if the Edmonton Oilers found a way to time travel and sign a prime-era Wayne Gretzky, there’d be a lot more hype, not just within Edmonton, but league-wide (Connor McDavid aside). This “statistic” is closely inter-related to the perception of the product on the ice going forward, in essence, having a rabid fan-base but a terrible team is good for the hype, but not for the overall perception. In order to gauge intangibles, a certain amount of points will be added or removed from the “intangibles” segment of the formula ranging from anywhere within 0 (nothing to worry about, your team is making all the right moves) to a 100 (there’s absolutely nothing to be optimistic about, franchise will collapse soon), or a “worry factor,” giving us an empirical measure of which fans should be the most upset this coming year. Since the formula is heavily weighted towards the financial element, the results will absolutely surprise and shock you. If you aren’t easily bored, and want specifics on calculation method and justification, you can check it out by clicking here. 1. Tampa Bay Lightning ($152.19 per home win, $34.79 per home goal, $0.46 per ounce of beer, worry factor: 12/100): The Eastern Conference champions of last season boasted the best home record of the league, as well as finding the back of the net the most often in the NHL. With a relatively inexpensive average ticket price, and the high probability of it being a team you pay to see win at home, it’s no surprise that the Lightning fans have it good. The young core will ensure that the Lightning will remain competitive for years to come, if they can lock up Stamkos long-term that is. 2. Anaheim Ducks ($164.38 per home win, $36.53 per home goal, $0.52 per ounce of beer, worry factor: 15/100): The Ducks have never had issues scoring, boasting the likes of Corey Perry and Ryan Getzlaf, which fit perfectly with Bruce Boudreau’s run-and-gun style. While defense has been their downfall the past few post-seasons, they’ve acquired a solid veteran defenseman in Kevin Bieksa, and a dynamic young defender in Simon Despres. The worry factor is not higher, simply because the Ducks are a constant cup contender, with a solid lineup that can compete night in and night out. 4. St. Louis Blues ($201.37 per home win, $43.15 per home goal, $0.45 per ounce of beer, worry factor 38/100): Remember a time when the St. Louis Blues used to get absolutely demolished by every team in the NHL? Many St. Louis Blues fans do not, as the Blues have become very competitive in an extremely difficult Central Division. With the likes of Vladimir Tarasenko, Brian Elliott, and Alex Pietrangelo asserting themselves as some of the best players in the league in their respective positions. The worry-meter is high in St. Louis, though, as three consecutive first-round playoff bounces may have head coach Ken Hitchcock in the hot seat this upcoming season. 5. Washington Capitals ($235.11 per home win, $43.96 per home goal, $0.33 per ounce of beer, worry factor 28/100): Nobody can write about the Washington Capitals without avoiding the topic of Alexander Ovechkin. This year’s theme, though, is AO’s growth as a leader, evidenced by his staying on the ice during Russia’s snub of the Canadian national anthem at the World Championships in terms of his (technically) off-ice behavior improvement, as well as his performance on the ice in this past season’s playoffs. Bolstered by the addition of T.J. Oshie in the off-season, the Capitals are in pretty good shape, but are missing a key piece by the loss of high-shooting defenseman Mike Green to free agency. Brace for another cup run, Caps fans, and prepare to fill it with beer, as yours is the cheapest! 6. Detroit Red Wings ($265.85 per home win, $47.94 per home goal, $0.41 per ounce of beer, worry factor 32/100): Here’s a staggering stat, 106: combined ages of Henrik Zetterberg, Pavel Datsyuk, and new addition Brad Richards. Here’s a more stunning stat; their combined goals total is more than likely going to exceed their combined ages. Detroit isn’t a place where careers go to die; it’s a place where careers go for one last shot at winning the cup. With the longest-active playoff streak on the line, the Red Wings are entering the season a little bit older than last season, but not necessarily worse. They’ve added Mike Green from Washington, which is sure to increase their mobility offensively. Ramping up the worry factor is that it’s the first time in a long time that they’re not boasting the best coach in hockey, perhaps expect growing pains under new coach Jeff Blashill. 8. New York Islanders ($255.58 per home win; $46.98 per home goal, $0.61 per ounce of beer, worry factor 28/100): Participants in arguably one of the most entertaining series in the playoffs last season, the New York Islanders were robbed by Alex Ovechkin and company, and we were *this* close to one last Long Island – Manhattan series. With the Isles set to move into the Barclays Center, a new sense of stability looms over the once-turbulent Islanders. Spearheaded by a grossly underrated John Tavares, the Islanders are competitive precisely because nobody expects them to be. Being the only wild-card team in the calculations, as the average ticket price is bound to be much different with the move, the Islanders on-ice product should leave fans content, and looking forward to next season, even if being tied for the most expensive beer in the NHL doesn’t (assuming it stays the same). 9. Colorado Avalanche ($208.80 per home win; $39.69 per home goal, $0.56 per ounce of beer, worry factor 47/100): The Avalanche are a young, fast, skilled team. So, why were they just simply okay last season? Perhaps sophomore slumps extend to coaches too, meaning Patrick Roy should be able to steer the Avs back into the playoffs this season. Nikita Zadorov may help the Avalanche defensively a lot more than his numbers indicated in Buffalo, while the loss of Ryan O’Reilly will end up hurting them a bit more than predicted. The worry factor isn’t really calmed down by the seemingly paradoxical signing of Francois Beauchemin to a 3-year contract, which slows the team down. 10. Columbus Blue Jackets ($217.60 per home win; $35.64 per home goal, $0.46 per ounce of beer, worry factor 42/100): The injury bug bit Columbus, and it bit really hard; which was reflected in their standings. If they can stay healthy, this team can make a lot of noise, bolstered by the monster addition of Stanley Cup champion Brandon Saad, and under recently self-asserting captain Nick Foligno. Keep in mind that this is a team that is often underrated and can compete with the best of them if that simple fact is forgotten. Fans should get a treat, though, as it is relatively inexpensive to see Columbus light it up. 11. San Jose Sharks ($288.90 per home win; $48.15 per home goal, $0.39 per ounce of beer, worry factor 53/100): The Sharks missed the playoffs for the first time in a decade, costing head coach Todd McLellan his job (even though they’ve publically “mutually parted ways,” like any bad breakup). Jumbo Joe and company aren’t getting any younger, and many fans are wondering if their window has slammed shut. With Brent Burns, Tomas Hertl and Marc-Edouard Vlasic being some positives, the reason this isn’t much higher is that veteran defenseman (and not former Prime Minister of Canada) Paul Martin will be a bit of a stabilizing force for relatively unproven Alex Stalock and Martin Jones. If the Sharks string together some wins, look for them to be in the market for a legitimate starting goalie. 12. Los Angeles Kings ($241.36 per home win; $52.02 per home goal, $0.43 per ounce of beer, worry factor 42/100): The Kings tend to follow a pattern every year: slump, go on a tear, break for all-star week party, recover from hangover until it seems too late to win the playoffs, squeak in and surprise everyone. It turns out that the all-star week party lasted way too long, and got way too ugly for the Los Angeles Kings, evidenced by their failure to secure a playoff spot (despite a really close race with Winnipeg), Slava Voynov’s legal issues, and Mike Richards’ impending grievance with the NHLPA for his termination for “material breach of terms,” and subsequent narcotics charge; there is cautious optimism with the acquisition of tough guy Milan Lucic and defensive stud Christian Ehrhoff, but I’m waiting until the trailer drops to judge this sequel. Typical Hollywood. 13. Philadelphia Flyers ($288.93 per home win; $54.92 per home goal, $0.43 per ounce of beer, worry factor 45/100): Traditionally, the past few years, the Flyers have struggled in net, going through a revolving door goalie staff; perhaps it’s a good thing that Michal Neuvirth became available, lighting a fire under Steve Mason to perform better, and if either should falter, veteran journeyman Jason LaBarbera was brought in to pick up the slack. Of course, a team isn’t measured only by its goaltending, and the long-term signing of Jakub Voracek is bound to give the Flyers a bit of an offensive boost, and who knows, maybe Sam Gagner might have more of those 5-point nights. 15. Florida Panthers ($182.12 per home win; $35.09 per home goal, $0.50 per ounce of beer, worry factor 56/100): Surprise, surprise. Money talks, and the worst-attended team in the NHL finds itself in the middle of the pack when it comes to misery. There may not be a whole lot of Florida Panthers fans, but they should be happy, with Aaron Ekblad winning the Calder, and with Aleksander Barkov, Nick Bjugstad, Jonathan Huberdeau, and Brandon Pirri firing on all cylinders, perhaps greasy will be used more often to describe their skills and less to describe their goaltending tandem’s hair (sorry, Lu). 16. New York Rangers ($367.23 per home win; $73.45 per home goal, $0.44 per ounce of beer, worry factor 28/100): Martin St. Louis retirement leaves an ironically large void in terms of veteran presence and scoring, but in terms of depth, this team has a lot more back-end talent in the bottom two forward lines now. Let’s not also glaze over the fact that they have arguably the best goalie in the game right now in Henrik Lundqvist. Going off consecutive deep playoff runs, Rangers fans have much reason to be optimistic, even if a trip to Madison Square Garden isn’t as easy on the pockets. 17. 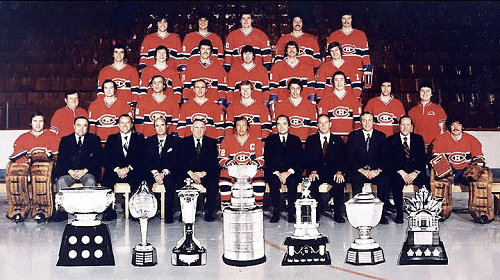 Montreal Canadiens ($346.02 per home win; $73.74 per home goal, $0.43 per ounce of beer, worry factor 32/100): The first victim of a weaker Canadian Dollar and a more strict Canadian taxing system when it comes to entertainment purposes; the most storied franchise in the NHL finds itself in the middle of the pack according to the formula, but also in what I’ve found through my travels; there are fans who are thrilled with how the team is performing, and will sing only the highest praises of Carey Price; while others are a bit more pessimistic about the lack of offensive firepower that can clinch a game when Price alone can’t. The Canadiens have played a high-risk, potentially high-reward card in signing Alex Semin for a year, but they should proceed cautiously if he lights it up, but also keep in mind that their division features a rebuilding Toronto, a smaller, less tough Boston, a growing Buffalo, an aging Detroit, a resurgent Florida, and a potentially tired Tampa. 18. 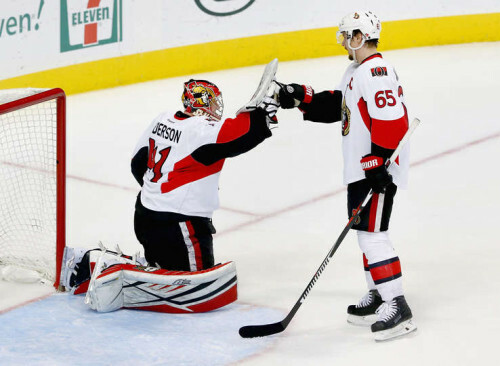 Ottawa Senators ($338.84 per home win; $57.30 per home goal, $0.38 per ounce of beer, worry factor 44/100): Canada’s capital is the home of perhaps the second most famous burglar in the world; on the back of Andrew “The Hamburglar” Hammond, the Senators made an improbable and amazing run to the playoffs, making Robin Lehner expendable, while keeping most of the team responsible for that run mostly intact. Whether that momentum will carry over to next season or not is another question; however, Senators fans should know and hold the following fact very close to their hearts: when it comes to cheap beer, you’re no senators; you’re Prime Ministers. 19. Minnesota Wild ($401.41 per home win; $69.54 per home goal, $0.48 per ounce of beer, worry factor 36/100): Much like the Ottawa Senators, the Minnesota Wild have a stud defenseman, an “enigmatic forward,” and a mid-season goalie savior; whereas the Sens have Erik Karlsson, Bobby Ryan, and Andrew Hammond, the US version is so much more potential-filled, with Ryan Suter, Zach Parise and Devan Dubnyk. If you’re still in disbelief about Devan Dubnyk, I’ll wait until you go back and watch him play for the Wild. Go ahead. I’m not going anywhere. Right?! The Wild are ranked so high despite their low worry factor because their price per home win, which would be better if you accounted only the Dubnyk home games, but their early season struggles count, too. 20. Chicago Blackhawks ($477.65 per home win; $97.98 per home goal, $0.50 per ounce of beer, worry factor (21/100): You may be asking yourself, “why aren’t the Blackhawks at the top of the list? They’ve just won the Cup for the third time in six years!” While you are correct in the second assumption, it turns out that to watch top talent play, you also must pay top dollar; unfortunately, the financial bias of the formula shows heavily on this one. On the plus side, you might bump into Vince Vaughn while at it. All joking aside, the worry factor should be a lot higher, considering how the Stanley Cup champions were picked apart once free agency opened; however, they did win the Cup. Again. 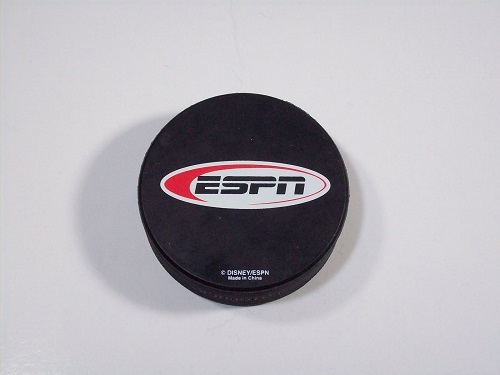 There’s also Patrick Kane’s legal issues that will no doubt have him play distracted in the following season. Maybe the pattern holds and they’ll go four for eight. 21. Pittsburgh Penguins ($411.03 per home win; $79.44 per home goal, $0.44 per ounce of beer, worry factor (35/100): On paper, the Pittsburgh Penguins should be absolutely unstoppable (especially this season), boasting the talent that it does. I don’t need to list it, and you know exactly who I’m referring to; but in case you do, here’s a hint: 29, 57, 58, 71, 72, 87 and now 81. With all that in mind, how did the Penguins almost end up missing the playoffs last year? 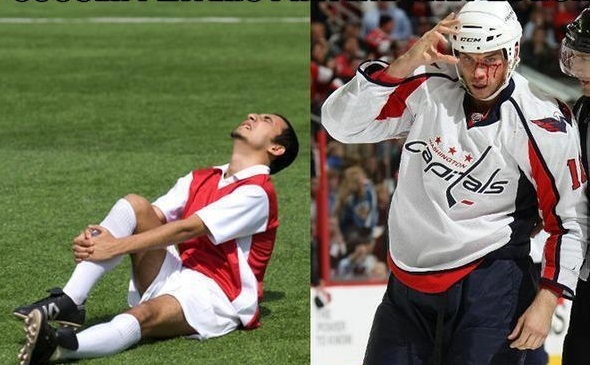 Injuries. Lots of injuries. The really scary season-ending ones. We’re talking about blood clots, strokes, and cancer scares. The Penguins are a lot thinner defensively with the losses of Christian Ehrhoff, Paul Martin, and two-way forward extraordinaire Brandon Sutter, but what they lost in defense, they certainly gained in offense with a certain maligned forward from Toronto’s arrival. If they do go streaking, I do request that we keep the “march of the Penguins” comment back in the 2005 vault. 22. Boston Bruins ($380.43 per home win; $83.00 per home goal, $0.53 per ounce of beer, worry factor (48/100): Big, bad Boston Bruins, the resident bruisers of the NHL, have decided to break up the band, giving away Milan Lucic, and losing Gregory Campbell and Matt Bartkowski via free agency. Defensively, they’ve also gotten a bit older, with the Dougie Hamilton trade helping bring to life the three consecutive draft picks in the first round this year. This is a team not quite in rebuild mode, but more in a readjustment mode; with a bit less of a physical presence, but a bit more of the skilled aspect. Speaking of physical presence, Zdeno Chara showed his age last season, and it’s only a matter of time before the biggest man in the NHL has to pass on the torch. The Bruins are cautiously approaching their down-swing from perennial contender status, giving their front office the boot, but not Claude Julien; whether he remains employed at the end of the season remains to be seen. 23. Calgary Flames ($472.25 per home win; $86.89 per home goal, $0.39 per ounce of beer, worry factor (36/100): I can certainly tell you that if things weren’t so expensive in Calgary, Flames fans would be ranked much, much lower. Surprising tons of analysts who believed that the Flames weren’t “for real,” the youth movement in Calgary is alive and well. The Flames even had their first playoff appearance since 2009; back when Dion Phaneuf was with them. The Flames are poised to make another appearance in the playoffs this upcoming season, with the core mostly intact, but with the addition of young Dougie Hamilton from Boston. Ladies and Gentlemen, the Flames are here to stay, and they are, indeed, for real. 24. Winnipeg Jets ($450.41 per home win; $80.93 per home goal, $0.61 per ounce of beer, worry factor (53/100): It was only a matter of time before the “Our Jets will fly again” sign came true since the old Atlanta Thrashers’ relocation to Manitoba; it hasn’t been easy since the move, but the Jets squeezed into the playoffs last season and showed a little bit of push back against the Anaheim Ducks in the first round. The Jets are a difficult team to predict, as they can be similar to a really good air show: one of the most entertaining teams to watch; or they could be as good as watching a crop duster: simply going through the motions and letting the other team overwhelm them. Adding to the stress factor is that key players Andrew Ladd and Dustin Byfuglien are both on the last year of their current contracts, and there’s some uncertainty about the Jets moving forward. At least the Evander Kane situation got handled fairly well last season, and Tyler Myers has so far panned out in Winnipeg, but sharing the title of most expensive beer in the NHL per ounce with the New York Islanders can’t make too many people happy. 25. Buffalo Sabres ($404.47 per home win; $68.22 per home goal, $0.40 per ounce of beer, worry factor (84/100): I personally attended a Buffalo Sabres game last season, and there were more than a fair share of blank jerseys, cheekily amended to add “McDavid” on the backs. After sighting several of these, the message was very clear; the Sabres were tanking, and the fan base was absolutely okay with that. In regards to the mission to land Connor McDavid, they failed; yet they should be very well consoled that they did end up with Jack Eichel, who I envision as somewhat following a similar career path as John Tavares. Aside from the drafting of Jack Eichel, this team looks a lot different than the one who stalled at the starting blocks last year; with Dan Bylsma at the helm, Ryan O’Reilly and David Legwand brought in, and Robin Lehner between the pipes to alleviate the self-created goalie crisis, the Sabres are bound to experience growing pains. It may yet be another long season, but there may be a bit more movement from the starting blocks. 26. Vancouver Canucks ($506.62 per home win; $102.18 per home goal, $0.47 per ounce of beer, worry factor (47/100): Vancouver is expensive. Thanks to Buzzfeed, the world knows it. Canucks fans have plenty of reason to worry, not just financially, though, having been fleeced by the Ducks again, but this time for Kevin Bieksa; losing Eddie Lack to Carolina, and the rest of the division becoming significantly tighter when it comes to the skill gap that Vancouver used to have, evidenced by their loss to division rivals Calgary Flames in the first round of the playoffs. The Sedin twins are still there, though, and they’re still good. Ryan Miller is still between the pipes, even though he just turned 35 this year and sometimes has looked like a shadow of the beast between the pipes at Buffalo. The addition of Brandon Sutter may alleviate some of the special teams woes that plagued the Canucks. 29. Toronto Maple Leafs ($831.65 per home win; $138.61 per home goal, $0.40 per ounce of beer, worry factor (78/100): When was the last time front office management alone won a championship? Am I sounding like a broken record yet? The Toronto Maple Leafs collapsed in epic fashion last season; and the season before that. Let’s just say that since the lockout of 2004-05, the Leafs have made it a habit of only playing half a season (with their only playoff appearance since being somewhat predictably in the lockout-shortened 2012-13 season). There is a lot of buzz surrounding Toronto, though; a market notoriously known for making mountains out of mole hills; so you can imagine that events like those that transpired this summer were on a greater-than-Everest scale. I’m referring, of course, to the complete overhaul of the Leafs’ front office and management team, with an all-star cast of respected hockey personalities brought in, from Mike Babcock to coach, to Lou Lamoriello to act as General Manager. It seems that the Leafs are completely in rebuild mode, and fans should be aware of that. Unfortunately, it is Toronto, and something will paradoxically occur (maybe a playoff appearance, just to keep the crazy going), but at least there shouldn’t be any pressure surrounding this year’s Leafs; unless they actually manage to sign Steven Stamkos in the off-season, but that’s a topic for another day. 30. Edmonton Oilers ($897.44 per home win; $135.98 per home goal, $0.52 per ounce of beer, worry factor (81/100): At last, the most miserable, the Edmonton Oilers. A constant shoe-in for the draft lottery pick for several years, this is a team with a lot of promise, but not enough punch; or at least it has been since 2008; the last time Edmonton drafted outside of the Top 10. Whether that changes or not with the addition of Connor McDavid remains to be seen, but it’s an all-too familiar tale; Jordan Eberle was supposed to save the franchise, but didn’t; Taylor Hall was supposed to save the franchise, but didn’t; Ryan Nugent-Hopkins was supposed to save the franchise, but didn’t; Nail Yakupov was supposed to save the franchise, but didn’t; maybe the fifth time is the charm? Maybe Andrej Sekera will stabilize the leaky defence and provide enough veteran presence to solidify the team into the offensive dynamo they should be; maybe Cam Talbot will be the best-kept secret that finally gives Edmonton a contender. Maybe under Todd McLellan’s coaching and Peter Chiarelli’s general managing the Oilers can regain their greatness. Maybe now that Craig McTavish is gone (but not really), something will be done if Edmonton starts to slip again. It’s a lot of maybes, and not a whole lot of uncertainty. Combine that with the absolutely astronomically high price that fans pay to see their team win, and score at home, and you’ve got yourselves the perfect storm of misery. Do you agree with our list? Who do you think the most miserable fans in the NHL should be?
" if it wasn’t for their (Nashville Predators) playoff nemesis: the Chicago Blackhawks. "